Zhou Yongkang, a senior official of the Communist Party of China (CPC), on Sunday visited the Mangyongdae residence of Kim Il Sung, founder of the Democratic People's Republic of Korea (DPRK). Zhou wished more success for the DPRK people under the leadership of the Worker's Party of Korea (WPK) with Kim Jong Il as its leader, and hoped the China-DPRK friendship be further developed in the new era. 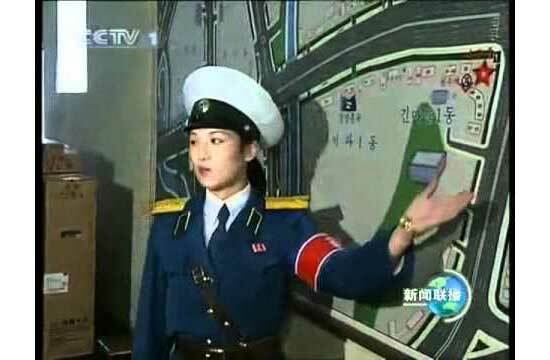 Zhou also talked with a policewomen at a traffic post in Pyongyang. He watched the changing of guard of the traffic police and visited the traffic control room. Impressed by the manner and working style of Pyongyang's traffic policewomen, Zhou expressed his respect for them on behalf of China's traffic police. Lucky guy. I wonder if he gets to keep one? The true reality of the DPRK-China axis is the shelling of South Korea by North Korea, not these staged publicity events.